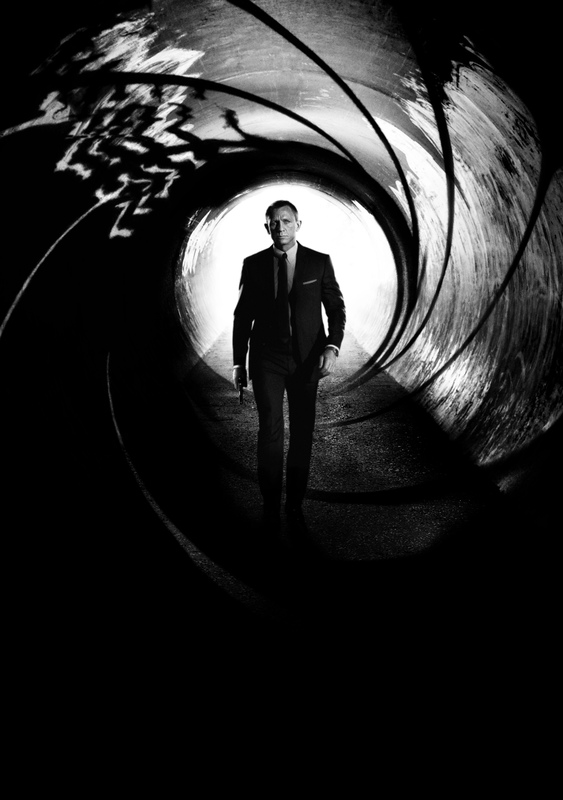 Agent 007 James Bond Skyfall 26th October in UK, November 9 2012 in US. SKYFALL's Daniel Craig joined by Sam Mendes, Naomie Harris, Bérénice Marlohe, Ola Rapace and producers Michael G. Wilson and Barbara Broccoli Michael G. Wilson and Barbara Broccoli, producers of the 23rd James Bond adventure, SKYFALL, announced today that the character of Q will be making a welcome return to the Bond franchise and confirmed that the role will be played by British actor Ben Whishaw. 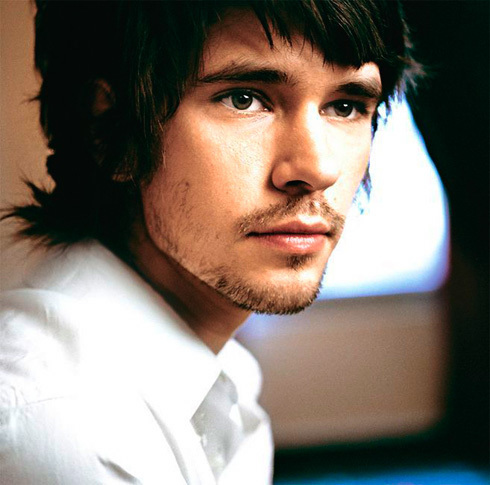 Whishaw becomes the fourth actor to play Bond’s quartermaster, affectionately known as Q. 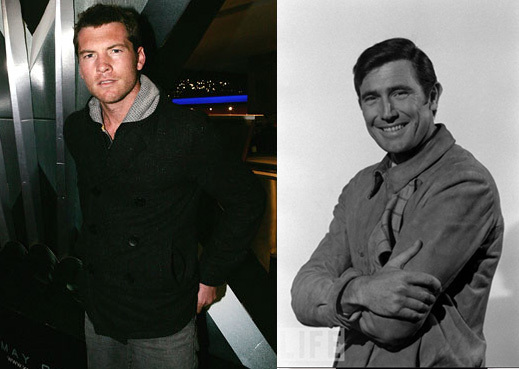 The role began with Peter Burton as Major Boothroyd in DR. NO followed by Desmond Llewelyn (in 17 Bond films between 1963-1999), and John Cleese (who appeared as Q’s assistant, R, in THE WORLD IS NOT ENOUGH and was later promoted to Q in DIE ANOTHER DAY). Ben Whishaw will be seen later this year in the film adaptation of David Mitchell’s best selling novel, Cloud Atlas, alongside an all-star cast including Tom Hanks, Jim Sturgess and Halle Berry, and in the BBC’s Richard II. He will also be seen in the second series of The Hour for the BBC, in which he stars opposite Dominic West. His films include roles in Bright Star, The Tempest, Brideshead Revisited, I’m Not There, Stoned, Layer Cake, Enduring Love, The Trench, Mauvaise Passé, and the lead roles in My Brother Tom and Perfume opposite Alan Rickman and Dustin Hoffman. He has also starred in the hugely popular BBC TV drama Criminal Justice which saw him pick up the award for best actor at the 2009 Royal Television Society Awards, Best Actor at the International Emmy Awards 2009 and was nominated for Best Actor at the 2009 BAFTA Television Awards. 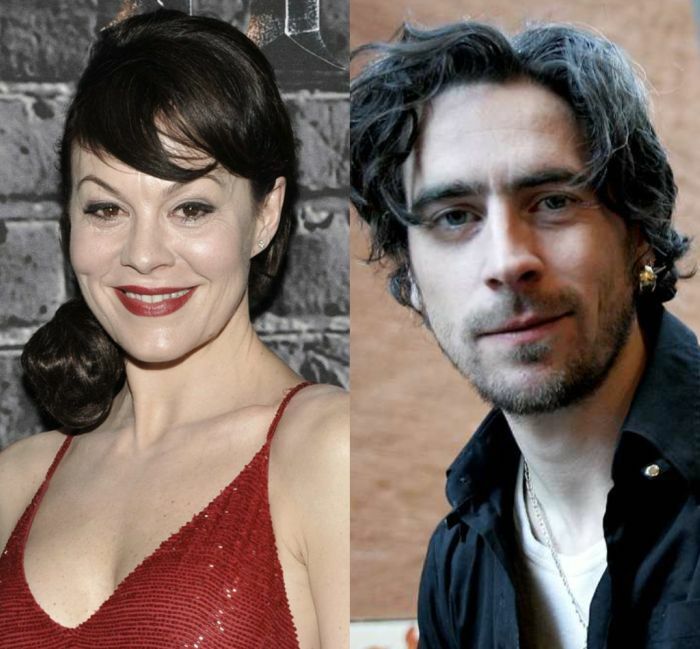 He will appear in Michael Grandage’s production of Peter and Alice in the title role opposite Judi Dench in 2013. The first trailer for SKYFALL will be released on Monday 21st May at 8.30am BST. 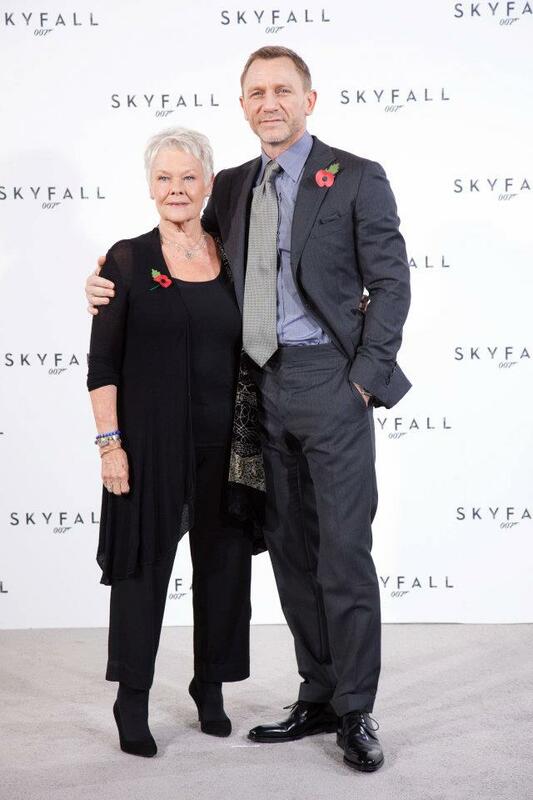 Judi Dench is back again as Bonds boss M for the last time. 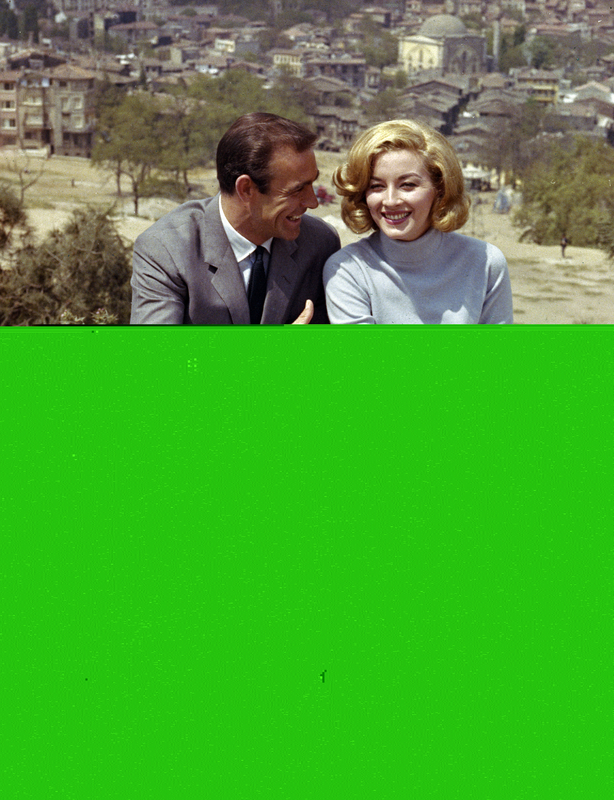 007.com picture Per Hallberg in sound designer, James Bond dumps Dry Martini and take apint Heineken? 007.com offers a greeting from producer Michael G. Wilson, in the middle of filming of the 23rd Bond film ‘Skyfall,’ opening in cinemas in 137 days new images have emerged online of Daniel Craig as Bond. Scanned from Total Magazine’s ’Skyfall’ cover story, the first image features Daniel Craig’s James Bond in London’s National Gallery. 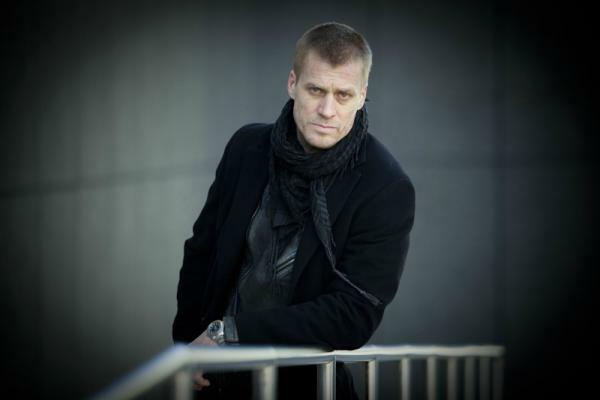 The role of Javier Bardem's companion will be played by JENS Hulten, known for his roles in SVT's drama series "Grave" and the sequel "murders" and the latest round of "Inspector Winter." He is best known perhaps for his role as gangster leader Seth Rydell in the films of John Falk, where he recently finished shooting six new films of season two. At the movies were seen Jens later in the movie 'strength'. Jens, just returned from a few weeks of recording CLOUDBURST in England, said: "It's obviously great to be involved in Skyfall. Bond movies are huge productions with some of the greatest talents both in front and behind the camera as it is fantastic to be part of. " 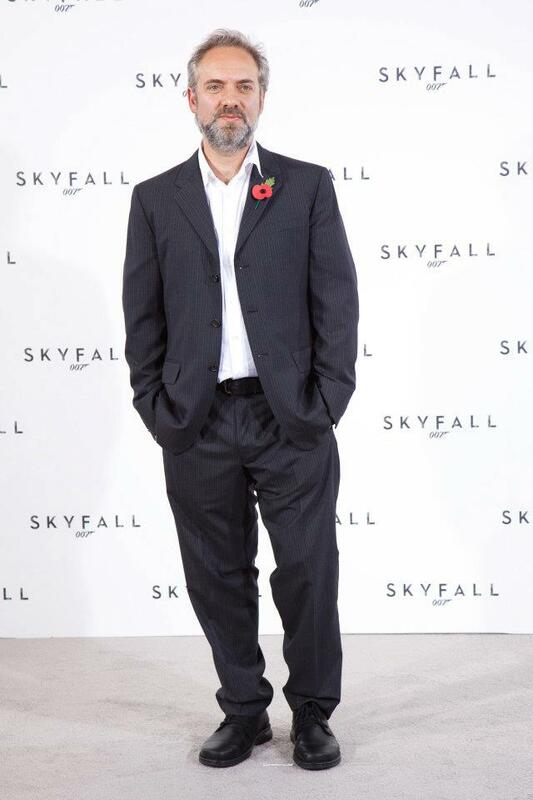 Per Hallberg in SKYFALL sound designer, supervising sound editor. Thomas Newman has been hired to score the upcoming 23rd installment of the James Bond franchise, Thomas Newman has scored all of Sam Mendes‘ previous films except for Away We Go, and the two are set to reunite again for Mendes’ upcoming James Bond film, Skyfall. According to MI6, regular Bond composer David Arnold, who has scored the series even since Tomorrow Never Dies, will be unavailable due to his work as the music director for the 2012 London Olympics. 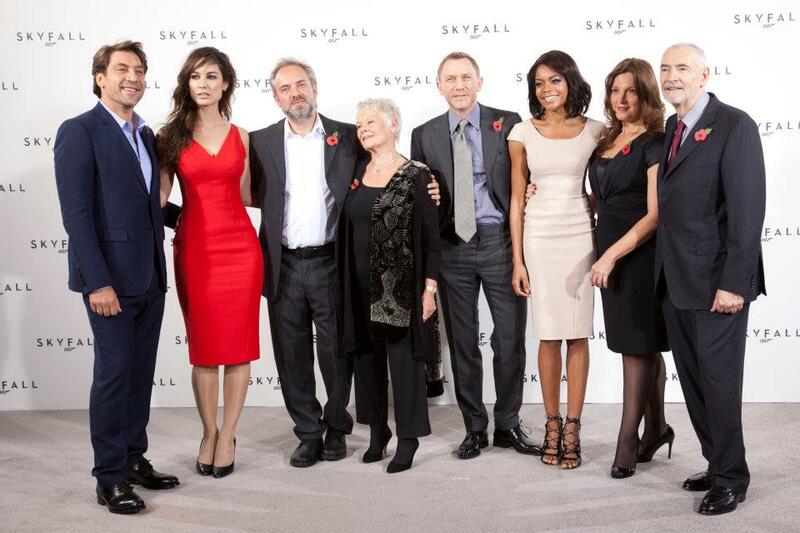 Producer Michael G. Wilson confirms the title of the 23rd James Bond film is SKYFALL. 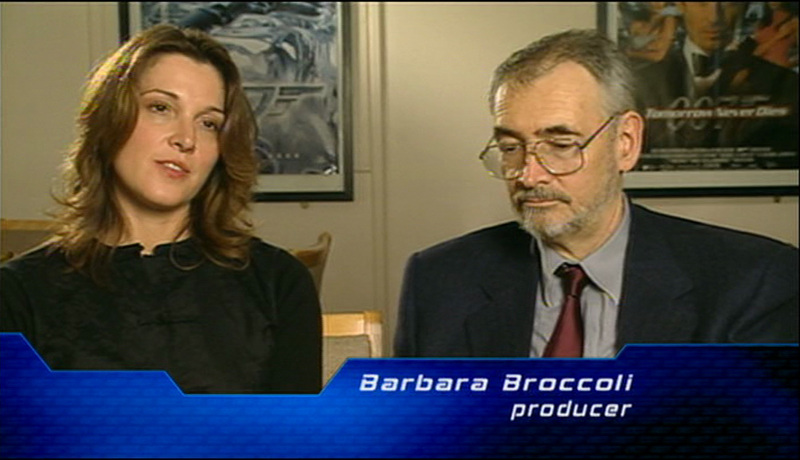 Producers Michael G. Wilson and Barbara Broccoli today presented the cast of the 23rd James Bond adventure, entitled SKYFALL. The film, from Albert R. Broccoli’s Eon Productions, Metro-Goldwyn-Mayer Studios, and Sony Pictures Entertainment, is directed by Academy Award® winner Sam Mendes and stars Daniel Craig, who returns for his third film as James Bond 007. The screenplay is written by Neal Purvis & Robert Wade and John Logan. 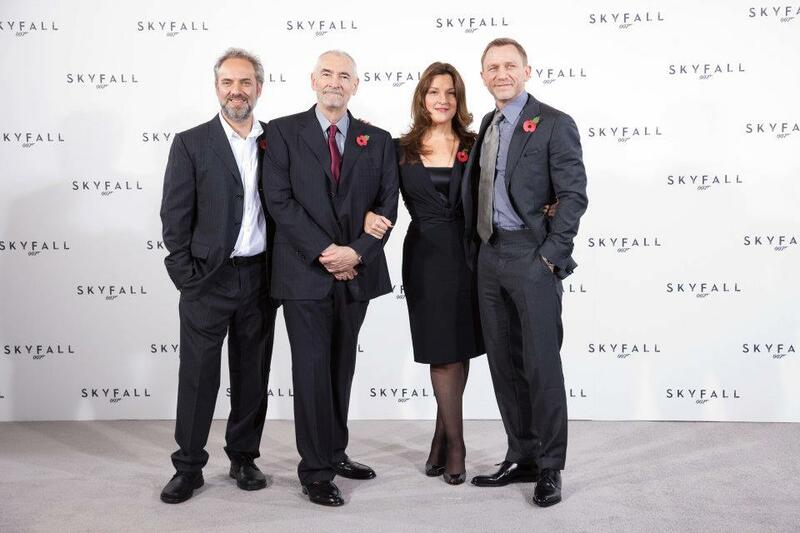 SKYFALL, which goes into production on Monday, November 7th, will begin its worldwide roll-out in the UK and Ireland on October 26th 2012 and in North America on November 9th 2012. -The cast is confirmed: Daniel Craig, Javier Bardem (villain), Bérénice Marlohe, Dame Judi Dench, Naomie Harris, Ralph Fiennes, and Ben Wishaw. The first five are on stage. The reason the press conference is being held in a central London hotel and not Pinewood Studios is because shooting today is based around Whitehall. -Bérénice Marlohe will play ‘a glamorous, enigmatic character called Severin’. The tabloid press actually got that one right. 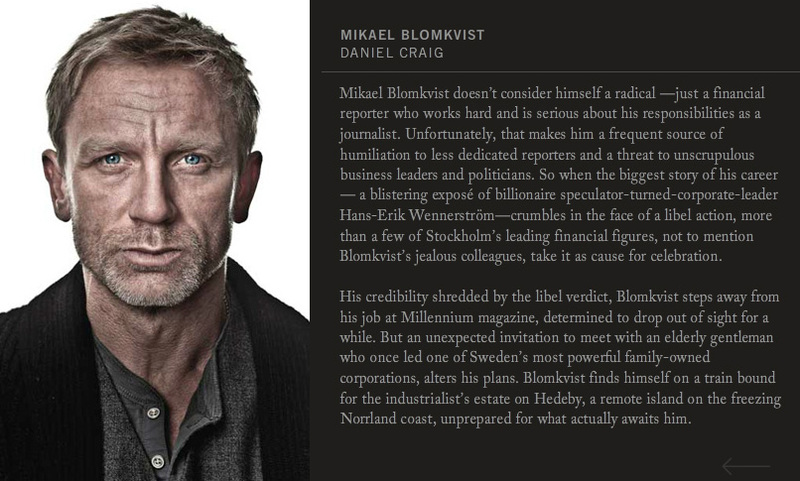 Confusion with the villain’s name from the ‘Carte Blanche’ novel is bound to ensue, despite confirmation that SKYFALL is not related to any existing Bond property. -Naomie Harris says she has spent two months training for her role. She will play a field agent called Eve. No word of Miss Moneypenny being in the film. 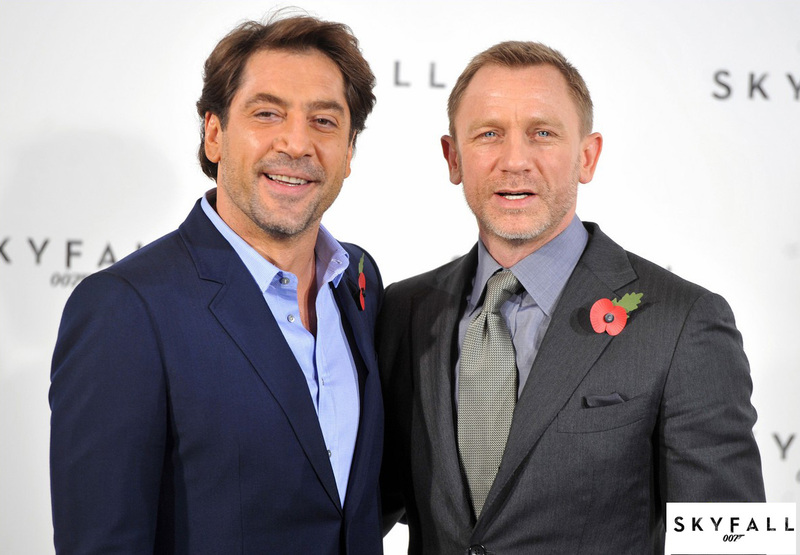 -The budget for SKYFALL will be similar to ‘Quantum of Solace’ – nothing will be cut back, and nothing in the script has been cut back from their plans. -The new girls have been busy honing their skills. Harris has been doing Yoga three times a week, stunt driving, and firing machine guns – which she loves – stunt training, jumping out of cars and running up and down stairs. Marlohe has been shooting guns, too. -The press conference has concluded. The panel did an great job of keeping everyone engaged for 30 minutes whilst still not giving too much away about the film. Not a huge amount of surprise for readers on the details revealed, except perhaps the Severin character name which was largely thought of as tabloid bunkum. -When the panel is asked if the reason why three character names have not been revealed it is because fans would recognise them, the audience is told the question is well phrased and hint that is exactly the reason. 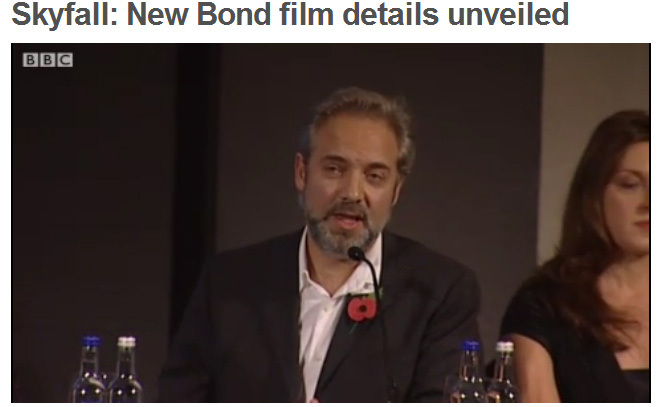 --Barbara Broccoli responds ”Definitely!” when asked if Daniel Craig will do more Bond films after SKYFALL. Craig himself says ”If I could do this for a few more years then I’ll be happy.” It seems he will be on for Bond 24 at the very least. -SKYFALL will be similar in tone to ‘Casino Royale’ – news which will be received well by the vast majority of fans. Daniel Craig confirms he does have a shirtless scene, too. 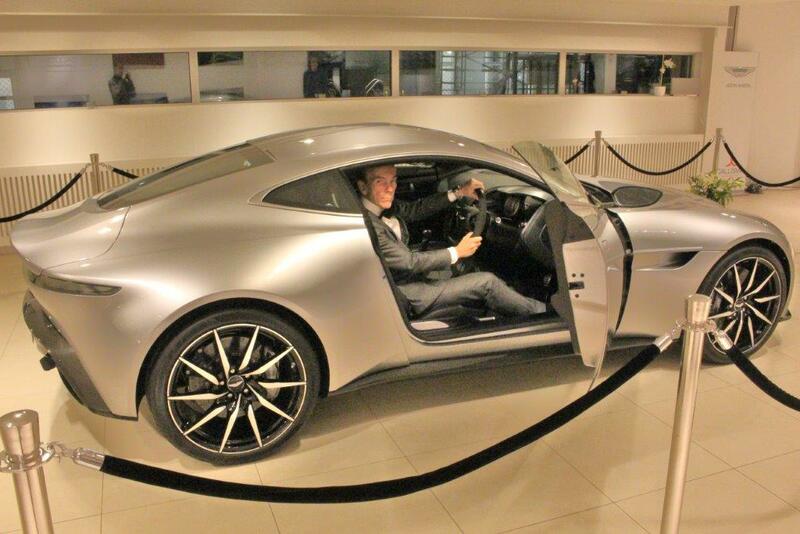 Bond Girls rejoice. 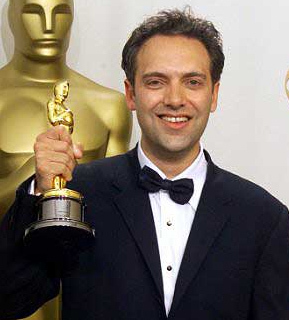 -When asked, Sam Mendes hopes to direct another Bond movie ”if this goes well”. The title SKYFALL has an ‘emotional meaning’ which will be revealed in the film. Quantum will not be involved. Sam Mendes wanted to spring a surprise on his high-calibre cast gathered at Pinewood studios for a script reading of the latest 007 adventure. Dailymail As the likes of Daniel Craig, Judi Dench, Javier Bardem and Ralph Fiennes sat leafing through their scripts, each stamped ‘Highly Confidential’, with every page watermarked and coded, they must all have been wondering: who on earth could the Oscar-winning director be bringing in who might leave them shaken and (pleasantly) stirred? 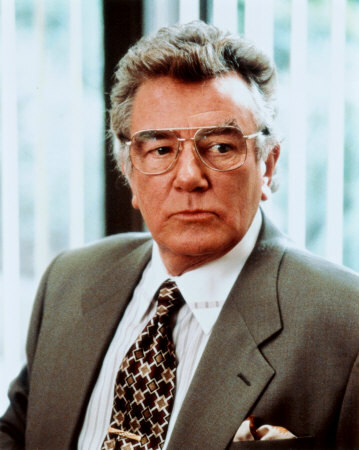 Try Albert Finney, a legendary actor, revered by his peers and about to make his Bond debut at the age of 75. Bond 23 Sam Mendes is to tone down the action on the next 007 movie and concentrate on ”characterful performances” in an attempt to land an Oscar. 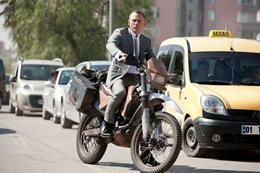 Daniel Craig To Shoot Bond 23 Stunt In London entertainmentwise.com. Daniel Craig To Shoot Bond 23 Stunt At Smithfield Market In London Stunt At Smithfield Market In London. He will be jumping onto a jaguar during a car chase…It has been revealed that Daniel Craig will be filming one of his Bond 23 stunts at the Smithfield Market in central London. 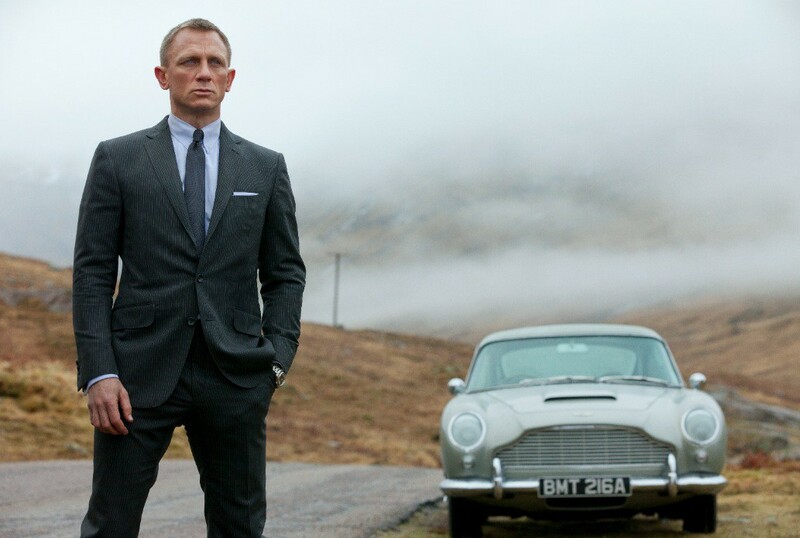 James Bond film to shoot in Scotland as spy returns to roots entertainment. The new James Bond movie starring Daniel Craig is set to film some of its pivotal scenes at a Scottish castle. Reacting to DT's story that " Bond 23" had pulled the plug on shooting in India as they couldn't wait for so long for permissions, Indian Railways has clarified that they'd given all requisite permissions. Chandralekha Mukherjee, executive director, information and publicity, Indian Railways, told DT, "We'd given them all the permissions. They wanted to shoot in the Sabarmati yard and had asked to shoot on two gauges – broad gauge and meter gauge – and they wanted these for seven-hour stretches every day for seven days in a row, and we'd agreed. All had been worked out." The next Bond will start in October or November. I’m really excited about the script, it’s fantastic,” he says. Craig became a household name after his debut as Bond in Casino Royale (2006), a fact he accepts with modesty. 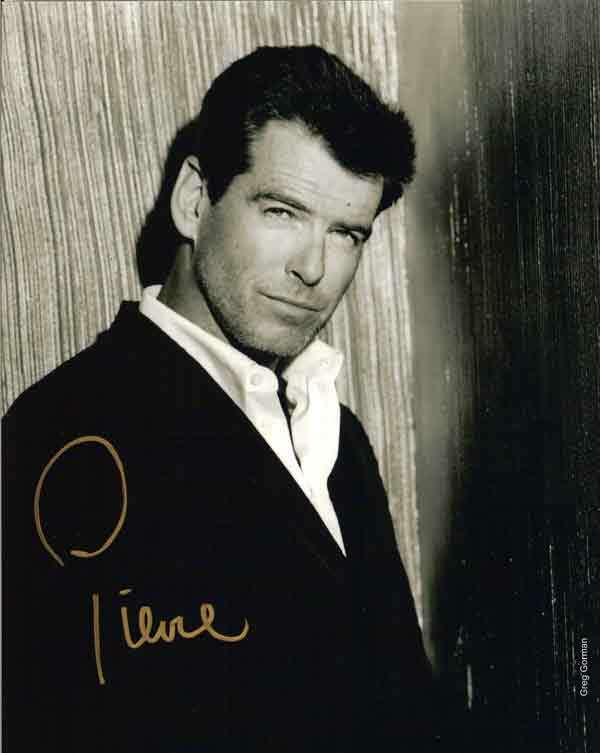 “I was glad to know that Bond fans accepted me after Pierce Brosnan, who was incredible as James Bond, he says. London, June 2, 2011 – MGM and Sony Pictures Entertainment are delighted to announce the UK release date for the eagerly anticipated 23rd James Bond adventure will be Friday, 26th October, 2012 opening at the Odeon Leicester Square and in cinemas across the UK and Ireland. The film will open in the United States on November 9, 2012. 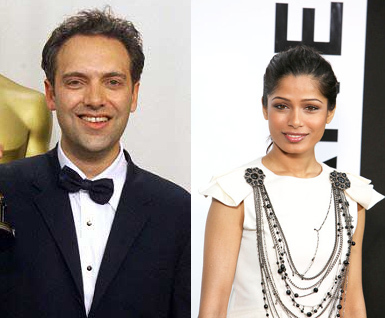 Freida Pinto, ends up being the new Bond girl in "Bond 23". The Sun recently broke out that executive producer Barbara Broccoli is eager to have the 24-year-old joining the cast of the next installment for the 007 agent movie series, and that Pinto has been invited to a screen test. Said spotted by the producers during the casting for 'Quantum of Solace', 'Slumdog Millionaire' beauty Freida Pinto has reportedly been invited to a screen test for the next James Bond movie. http://www.metro.co.uk/ Shooting for the movie could start as early as next summer, according to Deadline Hollywood. 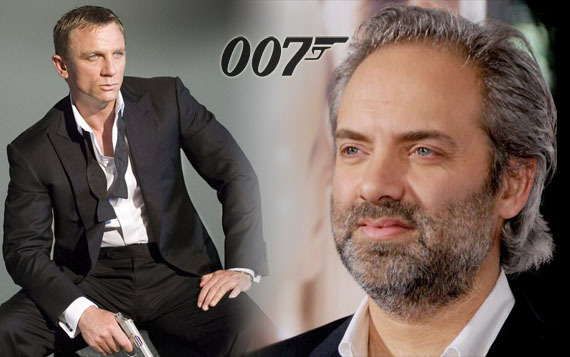 The website reported that Sam Mendes has had to pull out of the film The Hunger Games because he is getting ready to shoot Bond 23. Daniel Craig is set to reprise his role as the womanising agent in the new movie. The future of the film was put in jeopardy after movie studio MGM - who owns all the rights to the 007 series - was put on sale. Producer Michael G Wilson said on the Bond website MI6: “Our timeline's a little up in the air what with the situation at MGM, so we have to be flexible. We just don't know enough about the situation to comment, but we know it's uncertain.” Craig said previously: "I have every confidence in Barbara [Broccoli , co-producer] and Michael's decision and look forward to production resuming as quickly as possible." Försening av Bond 23 till 2012. FRESH from his success as an intergalactic Avatar, betting agencies are tipping Sam Worthington to slide into James Bond's Aston Martin as the next 007. The Australian hunk has become favourite, ahead of Will Smith to replace Daniel Craig as the famed British spy on the big screen. His interpretation of Corporal Jake Sully, a disabled soldier who falls in love with an alien from Pandora in Avatar helped the James Cameron film to overtake Titanic as the highest grossing film ever. Names being touted as his potential love interest as new Bond girls include Britain's Cheryl Cole and Freida Pinto, who starred in Slumdog Millionaire. Worthington has also been mentioned as the man most likely to reprise the role of Dracula in the next Hollywood incarnation of the villain from Transylvania. 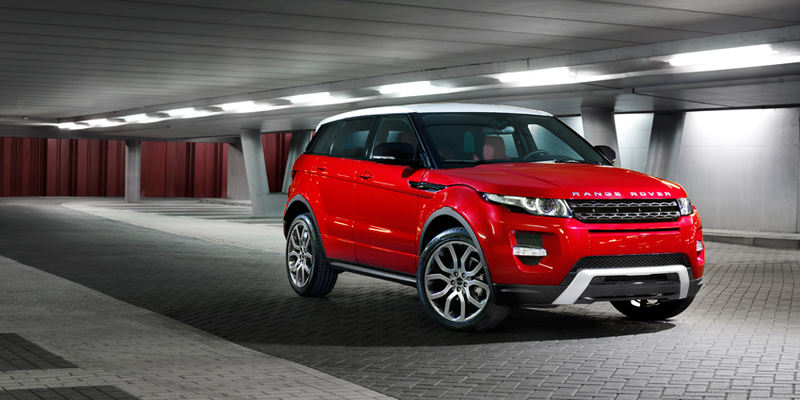 James Bond fans to name new 007 blockbuster. However, fans are lobbying studio executives to choose between the names of two Fleming short stories with box office appeal. And they've also come up with their own promo posters to show how good they'd look. One army of 007 fanatics is promoting Risico, originally written as part of the For Your Eyes Only novelettes. It sees Bond being sent by M to investigate a drug-smuggling operation based in Italy that is flooding Britain with narcotics. A rival group wants the next film to be called The Property Of A Lady, another Fleming short story that sees Bond on the trail of a gorgeous Russian double agent who has infiltrated our Secret Service. 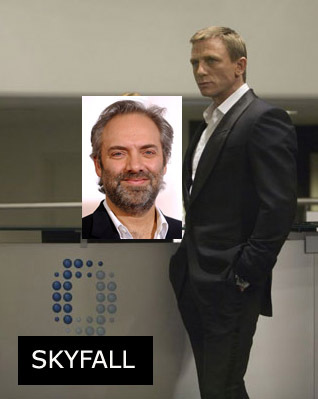 A senior MGM executive said that director Sam Mendes has been 'blown away' by creativity of the fans. 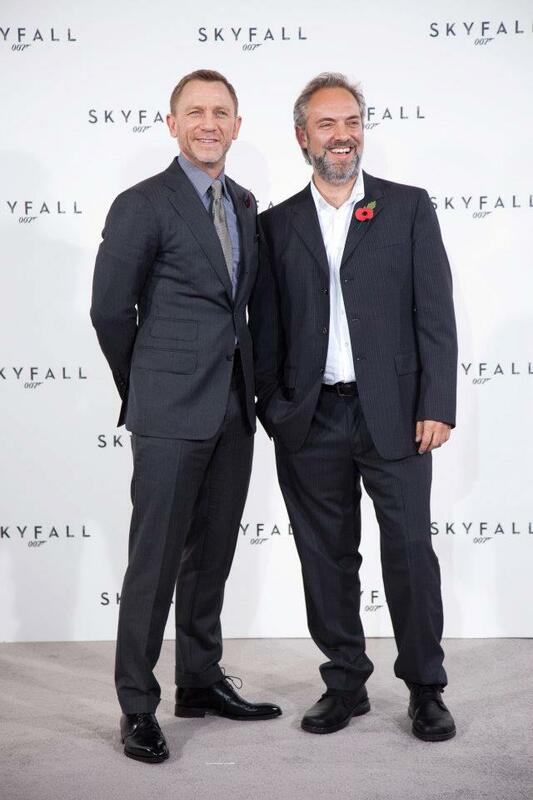 Sam Mendes with Daniel Craig James Bond actor for the 3rd time. .
Casino Royale and .Quantum Of Solace. James Bond offered starring role in Versailles. Its overblown grandeur has been the setting for many a period tale, from Stephen Frears's Dangerous Liaisons to to Sofia Coppola's Marie Antoinette. Now the guardians of the nation's most famous château want the Palace of Versailles to make its mark on a much wider audience - by virtue of a starring role in a future James Bond movie. Parisian civil servants have gone so far as to write a storyline for 007, aimed at luring series producers Eon to the 17th-century palace. Scenarios might include Bond chasing through the palace after environmental terrorists, or perhaps making his escape through gardens designed according to the exacting tastes of Louis XIV. "We want to give the producers some ideas, because it would be great to have James in the magnificent decor of the château," Stéphane Martinet, the deputy director of the Paris region film commission, told the Times. "Producers tend to think of it as a setting for period movies, but these are not the most profitable films these days. We would like to get across the message that Versailles could be a location for all sorts of different movies." A total of 165 movies have been filmed at Versailles, the home of French royalty from 1682 until the revolution of 1789. The palace has been increasingly opened up to film-makers since the French government asked it to manage its own budget a decade ago. These recent changes have sparked anger among some traditionalists, with opponents claiming that the château is being turned into a theme park. But Mr Martinet said the initiative, which is part of a concerted attempt by French authorities to lure movie-makers from Hollywood, could only help boost tourism and create employment. Crews who cannot afford Versailles's €16,000-a-day (£14,000) rate can choose to shoot at an ordinary château for as little as €4,500. Last year the government also introduced a 20% tax break for film-makers shooting in France's stately homes. Bond's 23rd adventure is set for release next year, with Daniel Craig reprising his role as the secret agent; the Oscar-winning British film-maker Sam Mendes is to direct. Susan Boyle to star in James Bond movie? Nu är uppladdningen i gång inför nästa Bond film som ännu inte har fått något namn men går under Bond 23 tagit fart lagom inför julen. Namnet är Boyle, Susan Boyle. Den skotska stjärnan sjunger i nästa James Bond film, som förbinder Sean Connery annan berömd skotsk stjärna, att lämna sin prägel på James Bond franchise. Producenterna av de nya, ännu namnlösa-Bond-filmen, har vänt sig till Boyle för att sjunga titeln melodi av den nya filmen, den 23: e Bond produktionen, som väntas släppas under 2011. Susan's fans har redan gått med i satsningen. En fullfjädrad Internet kampanj pågår för att få den skotska songstress vråla ut öppningen tune, liksom Shirley Bassey och andra ledande stjärnor har gjort tidigare. Det kan även vara lite egenskap del, enligt rapporter. Bond-tema kompositör Monty Norman sade till Sunday Express: "Hon har rätt sorts svepande röst." Susan skulle bli den andra stora skotska stjärna från Glasgow att göra sin debut i Bond-filmer. Sean Connery var ansiktet och persona av James Bond under många år och gjort rollen berömda. The producers of the next Bond film have approached Boyle to sing the title tune. 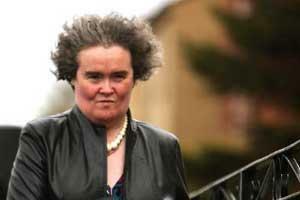 The name is Boyle, Susan Boyle. The Scottish star seems set to sing in the next James Bond movie, joining Sean Connery another famous Scottish star, to leave their mark on the James Bond franchise. The producers of the new, as yet-unnamed Bond film, have approached Boyle to sing the title tune of the new movie, the 23rd Bond production, which is expected to be released in 2011. Susan's fans have already joined in the effort. A full-fledged internet campaign is under way to have the Scottish songstress belt out the opening tune, like Shirley Bassey and other leading stars have done in the past. There may even be a bit acting part, according to reports. 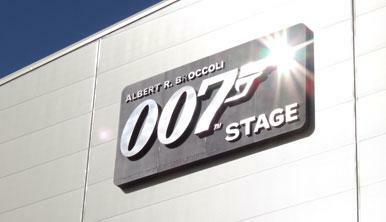 The world famous 007 stage at Pinewood was built in 1976 for the Bond movie The Spy Who Loved Me. Since then it has housed hundreds of sets for hundreds of productions. Cambodian Temples for Lara Croft Tomb Raider, The Hanging Gardens of Babylon for Alexander, The Louvre Gallery for The Da Vinci Code and The Chocolate River Room for Charlie and the Chocolate Factory to name but a few. (Istanbul, April 29, 2012) -- Daniel Craig and cast and filmmakers of SKYFALL, the 23rd adventure in the longest-running film franchise of all time, have arrived in Istanbul, Turkey. Their arrival marks the third time a James Bond adventure has filmed in the historic city. 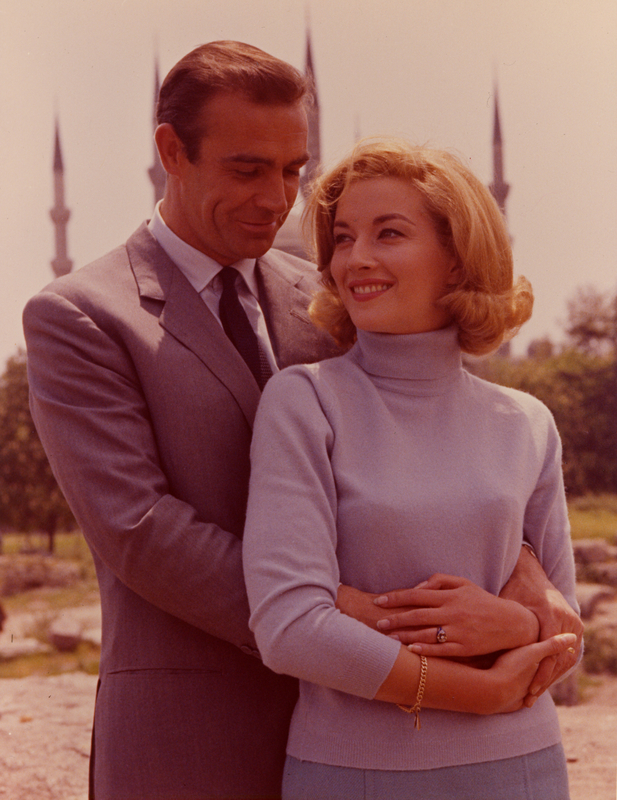 Previously, Istanbul served as a backdrop for scenes in FROM RUSSIA WITH LOVE and THE WORLD IS NOT ENOUGH. SKYFALL locations in Turkey include Adana, Fethiye and Istanbul. At a photo call and press conference today to mark the occasion were producers Michael G. Wilson and Barbara Broccoli, director Sam Mendes, and cast members Daniel Craig, Naomie Harris, Bérénice Marlohe, and Ola Rapace. 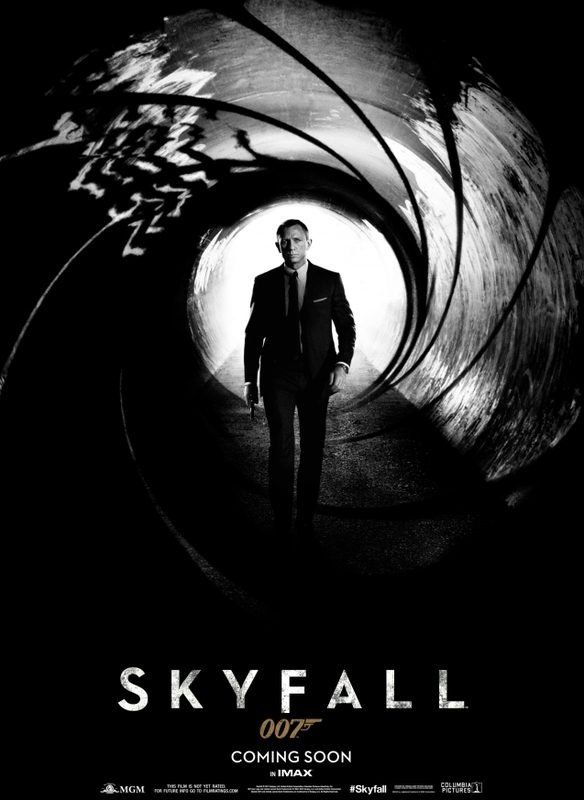 SKYFALL is from Albert R. Broccoli’s EON Productions, Metro-Goldwyn-Mayer Studios, and Sony Pictures Entertainment. 2012 marks the 50th anniversary of the legendary motion picture franchise. Albert R. Broccoli’s EON Productions presents Daniel Craig as Ian Fleming’s James Bond in SKYFALL. The film also stars Javier Bardem, Ralph Fiennes, Naomie Harris, Bérénice Marlohe, Ben Whishaw, with Albert Finney and Judi Dench as ‘M.’ Directed by Sam Mendes. Produced by Michael G. Wilson and Barbara Broccoli. Written by Neal Purvis & Robert Wade and John Logan. Director of Photography is Roger Deakins, ASC BSC. Production Designer is Dennis Gassner. Editor is Stuart Baird, A. C. E. Costume Designer is Jany Temime. The film will begin its worldwide roll-out in the UK and Ireland on October 26th 2012 and in North America on November 9th 2012. For local release date, consult your local distributor. Editors Notes: Photographs/Skyfall - Istanbul photo call, press conference and FROM RUSSIA WITH LOVE images are available for download in the U.S. at www.sonypicturespublicity.com. For all other International locations, please contact your local territory office. Metro-Goldwyn-Mayer Studios Inc. is actively engaged in the worldwide production and distribution of motion pictures, television programming, home video, interactive media, music, and licensed merchandise. The company owns the world’s largest library of modern films, comprising around 4,100 titles. Operating units include Metro-Goldwyn-Mayer Studios Inc., Metro-Goldwyn-Mayer Pictures Inc., United Artists Films Inc., MGM Television Entertainment Inc., MGM Networks Inc., MGM Distribution Co., MGM International Television Distribution Inc., Metro-Goldwyn-Mayer Home Entertainment LLC, and MGM Music. In addition, MGM has ownership interests in domestic and international TV channels reaching over 130 countries. For more information, visit www.mgm.com. 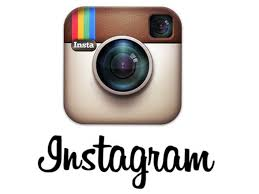 · The film was shot on location in Istanbul in 1963 and includes lots of sweeping scenes of the City. 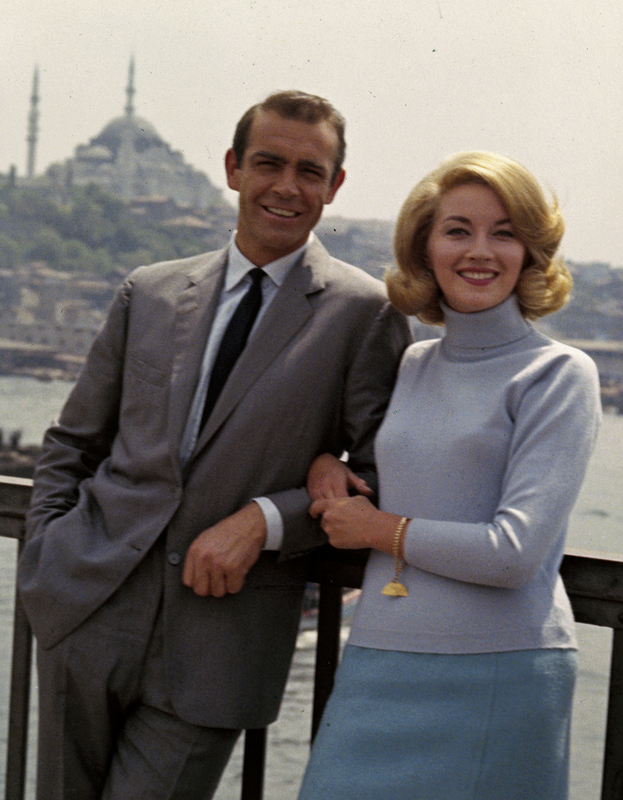 James Bond visits the airport, the railway station, the Grand Bazaar, Hagia Sophia and sails down the Bosphorus. 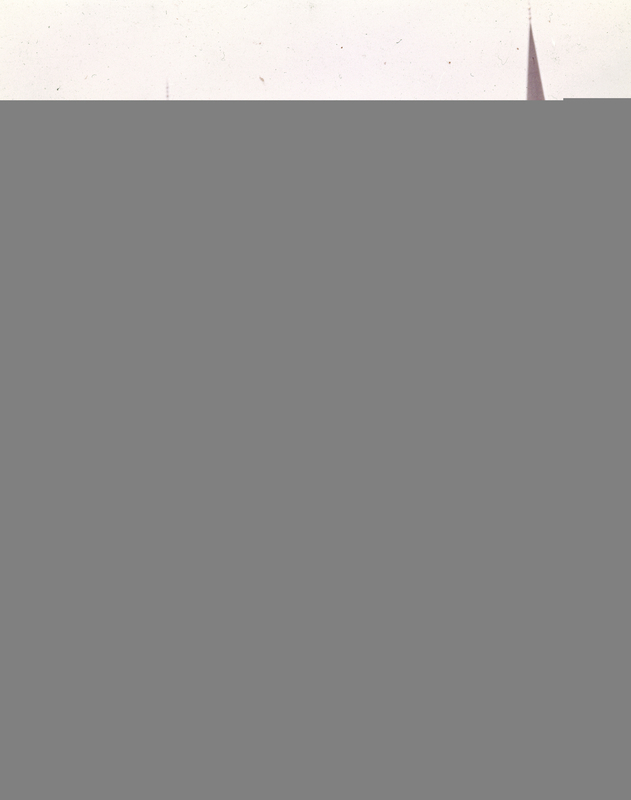 · During production in 1963 Ian Fleming took Dana Broccoli sightseeing on a boat on the Bosphorus. 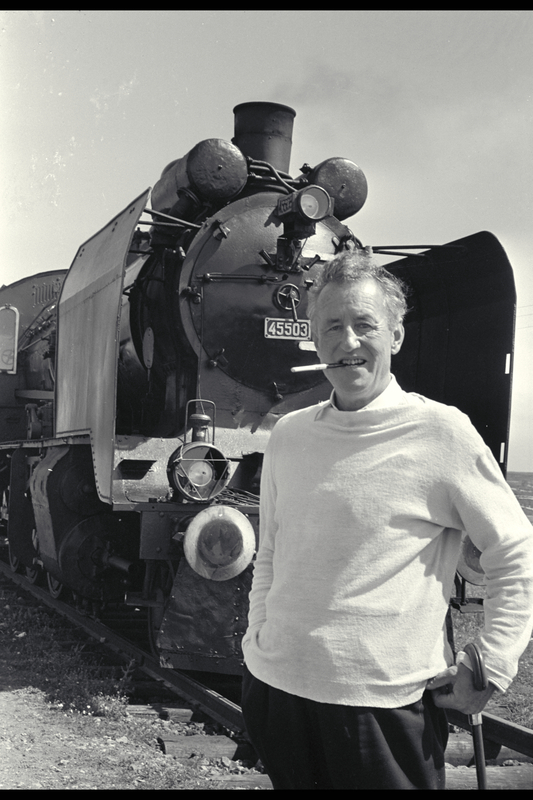 Ian Fleming had a great knowledge of the city as he had been on an assignment as a journalist the year before. He based the character Kerim Bey on his friend, Oxford-educated, Nazim Kalkaren. 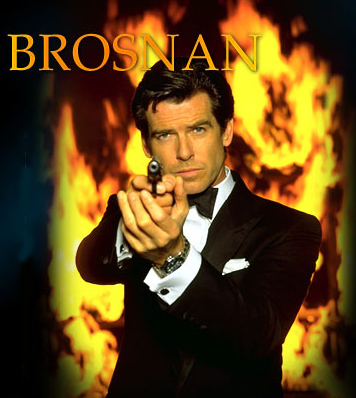 Den 31 oktober har nya James Bond-filmen premiär. Och redan spekulerar spelbolagen i vem som ska bli nästa Bond och bondbrud. Carolina Gynning finns med som kandidat. Det spekuleras i att James Bond ska bytas ut efter nästa film vilket därmed betyder att Daniel Craig ska ersättas. Enligt spelbolagen är det troligast att det blir Colin Farrell som kniper den eftertraktade rollen. Bland Unibets lista över tänkbara kandidater till agenten med rätt att döda återfinns tre svenskar, Mikael Persbrandt, Peter Stormare och Stellan Skarsgård. De har dock väldigt höga odds. Det finns svenska namn bland potentiella bondbrudar också. Enligt Unibets lista har programledaren Carolina Gynning större chans att bli bondbrud än Victoria Beckham. Men även Carolina har ett högt odds. Hon ger en utdelning på 100 gånger pengarna. Persbrandts ex-flickvän Maria Bonnevies chanser anses mycket större. Om hon blir nästa bondbrud ger hon 35 gånger pengarna. Allra troligast är det dock, enligt spelbolagen, att Scarlett Johanson kniper rollen. Sveriges egen James Bond, Gunnar Schäfer menar att det är få Bondbrudar som har varit kända innan de varit med i filmen och att det därför bör bli en outsider. – Bland de svenska kandidaterna tror jag på Carolina Gynning. Och i så fall som den elaka bruden. Varje film har ju en god och en ond, så kanske kommer hon spela KGB-agent eller terrorist, säger Gunnar "James Bond" Schäfer, i ett pressmeddelande. – Det är tretton år sen vi senast såg en svensk Bondbrud och det var i Golden Eye då Izabella Scorupco gestaltade en rysk dataprogrammerare. Vi tror att det snart kan vara dags igen, säger Andreas Slätt, Marknadschef på Unibet i Sverige. Vem spelar Bond efter Daniel Craig? Vem kommer att spela skurk i nästa Bondfilm?